It’s almost guaranteed that if you’re in an instrumental band from Great Britain, your band will be more inclined to play post-rock of the Mogwai variety. England’s is no different. The EP Autonomy has some pieces that sound as if they were almost taken straight from some of Mogwai’s heavier sounds, only done somehow more recklessly. The band really can’t be considered post-rock as the opening track on the EP blasts in with a more steady melodic punk attitude than anything else. In fact, a good portion of the song seems like a flat out hard rock song that was accidentally released before any vocal tracks were laid down. eventually settles down and incorporate a more melodic tone which fits the instrumental aspect much better, bouncing between these Mogwai-esque climaxes and heavy melodic guitar noodling. The third track follows much of the same attitude, but the second track doesn’t at all. A more unplugged and slowed down track, it sounds like those bizarrely fitting acoustic tracks Pelican throws in on virtually all their albums. Only problem is that this is 33% of the EP right here, and it just seems a bit out of place, especially when the pianos and classical strings come in. 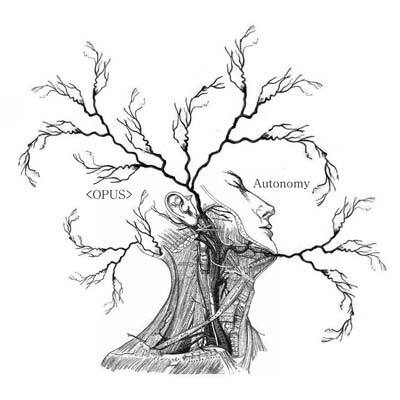 Autonomy is a good stab at getting something new in a crowded genre. But as of now just doesn’t appear to be a band that is quite sure of what it wants to be. DOWNLOAD THEIR EP FOR FREE.